Next year, July 2019, there will be another conference. They alternate locations, having one in the U.S. and the next in another country. This coming international conference will be at the University of Salford, U.K. I plan to present a paper on my BITE model and its application in fighting terrorism, trafficking and other forms of undue influence. I intend to present the findings of my research in the near future. I did the first of two research studies, for my doctoral dissertation for Fielding Graduate University, in conjunction with my external supervising professor Dr. Michael Commons and Freedom from Undue Influence. The study was conducted completely online and anonymously. The first study aimed to better understand the behavioral aspects of undue influence. 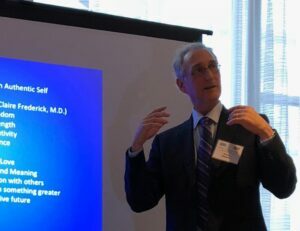 My hope is to develop a scientifically valid instrument that will be useful in showing key factors for determining an undue influence environment. This will help forensic experts better inform judges and juries in the legal systems worldwide. Once there is a scientifically valid standard structure, it will help guide policymakers, educators, mental health care providers and benefit citizens around the world. In a little more than one week, my first study on influence had 1028 respondents. My supervisor for the research informed me that we had enough raw data to do the study and so we closed it and began analyzing the results. We would like to express our gratitude to all who supported the effort. In the near future, I hope to publish the results in a scholarly journal. I plan to publically share the data, as well. Secondly, last week, I released a second, shorter study on ethics, law, and punishment and undue influence. This study is currently open and I welcome additional participants to take it. November 18, 2018 will mark the 40th anniversary of the Jonestown tragedy and the 30th anniversary of the release of my book, “Combating Cult Mind Control.” I am currently preparing a special 30th edition of the book with an updated introduction. More details will follow as the book becomes available later this year. 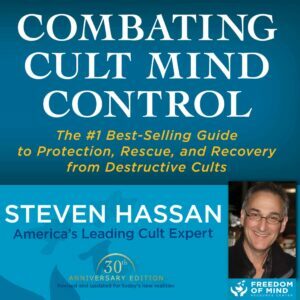 I am excited to announce the audiobook version of Combating Cult Mind Control (30th edition) is currently in production and will be released by the end of the summer. It will be available for purchase on Audible, Itunes, and Amazon. Jan 18, 2018: How Can I Rescue My Child From a Cult? May 3, 2018: Hypnosis, Guided Meditation, Deep Visualizations–Consumers Beware!